N.B. This is now CANCELLED due to low entries. Apologies to those who were looking forward to this. Bored, nothing planned over Half-Term? 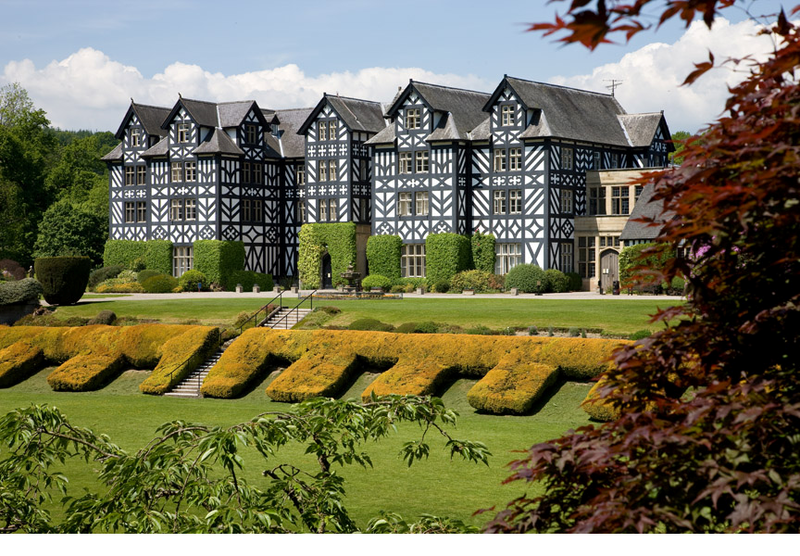 Why not come to our Schools and Family Orienteering Day and enjoy the great outdoors and scenery at Gregynog? There will be a "Star Exercise" available. In addition, there will be a Family Day course (a very short White course, 1.0km and 20m climb, to get in to the groove) – go around the course with mam and/or dad (or nain a taid). Registration and Download in the Courtyard. White Course – distance is 1.9km, 35m - tbc. Recommended for Year 3 & 4 pupils, but parents may do this. As below with the Yellow, but with a control placed at every junction. Yellow Course – distance is 2.2, 50m climb - tbc. Recommended for Year 5 & 6 pupils, but parents may do this. Around paths (controls at path junctions etc), testing navigation, skill of turning (orientating) the map as you move around the paths and changing direction. Following much discussion we have decided to change the format to make it a truly "family day" by allowing mam/dad to enter the White or Yellow. This can be either going around with you or against competing against you, if so, who will win?!! It is essential to pre-enter, click here for a downloadable Excel entry form. Email your entries to Bill Marlow (william.marlow@btopenworld.com) by Friday26th October at the LATEST. Come along with an Adult. Please make it clear on the entry form whether you are running as an Individual or in pairs (as normal). If running in pairs, both full names need to be enterered on the form. Fees: Pay on the Day. Adults £2-00 (includes Dibber hire); Juniors (under 21) £1-00 (includes Dibber hire). Parking fee is £2.50 per vehicle from the Pay & Display machine. Facilities: Courtyard Café will be open offering a range of food and drinks from 10.00am; toilets. Map: The map will be a pre-marked (per course) 5-colour map on water-proof paper, with bi-lingual control descriptions on the back of the map. The scale is at 1:5,000, i.e. 1cm on the map represents 50m on the ground. The map was first produced in 2006 by a professional mapper, with updates in 2018 ready for this event. Clothing: Trainers should be adequate footwear for all courses – there may be a few muddy and/or slippery areas on all courses at this time of year. You are recommended to bring a waterproof jacket, as November can be cold and wet. Please note: We reserve the right to refuse a person(s) from taking part if he/she/they is/are wearing inappropriate footware. Results: A full set of Individual results and Team results will appear on the Club website (www.mid-wales-orienteers.org.uk) as soon after the event as humanly possible. 10.30am - 12.30pm (write on your entry form whether you prefer to compete in the morning or afternoon – specify a particular time if need be and we will try to keep to that time, unless there is a high demand for a particular time!). However, after a couple of competitions or even straight away, you might wish to join MWOC. Why not download the form below and send it to our Club Membership Secretary (Clive Thomas)? This form is ready for 2018 and 2019.